Earth Fare All Local Farmers Market – Come and join me! 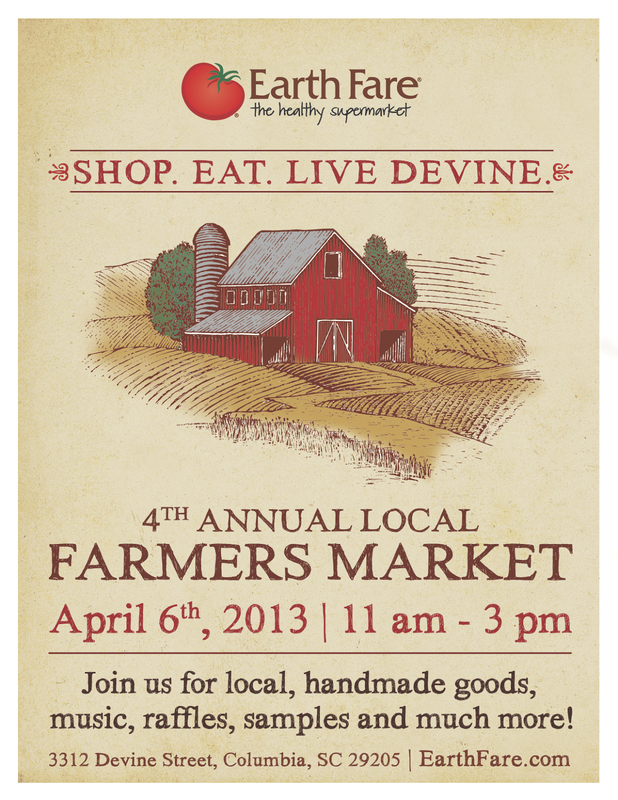 Join us Saturday April 6, 2013 at the 4th Annual All Local Farmers Market at Earth Fare in Columbia, SC. I hope you are able to come out and enjoy an afternoon celebrating all that is local. I will have a number of new items available for sale. My market partner, reSLICEd, will be joining me. She has beautiful handmade jewelry available.